Finding an honest & reliable professional locksmith in Dublin can be difficult if you’re not sure what to look for. With so many fake businesses starting up, then disappearing, it’s easy to be misled by fancy advertisements & false promises. 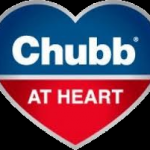 Look for an Established Locksmith Service. A “cowboy” locksmith business will change its name after a few years so that their shoddy work doesn’t catch up to them. Choosing a Dublin locksmith service that has been established for a number of years, is the right place to start when looking for a locksmith. 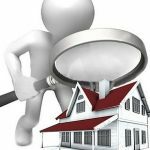 A good way of checking how long a locksmith company has been in business, is to do a search on the Companies Registrations Office website www.cro.ie. On the C.R.O website you will find the current status of the locksmith company, the year the locksmith company was registered, and address of the business. Word of mouth is another great way to find a good Dublin Locksmith. 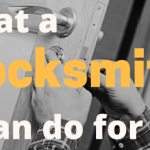 Ask family, friends & neighbours, if they have used, or know of a reputable locksmith service that they could recommend. Your local Garda station may also be able recommend a local locksmith service to you. Don’t be afraid to ask the locksmith company questions. Do they sound friendly? Are they explaining everything to you in terms you understand, or are they trying to dazzle you with technical words! A good locksmith will listen to your concerns; and talk you through the options available to you, in terms you can easily understand. You will soon get a better idea what kind of locksmith business you are dealing with, just by talking to them. If you don’t like what they have to say, move on to the next locksmith business on your list. A professional locksmith business as part of their services, will offer free quotations, no callout charge, and will only charge you for labour/ parts, after you have agreed on price, and work has commenced. 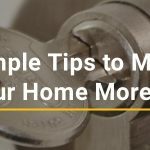 For most basic locksmith work, prices can be given over the phone, but if you are unsure of the locks you have or need expert advice on anything, a reputable locksmith should be willing to call to your home, assess what needs to be done, and give you a quote for the work, “free of charge”. 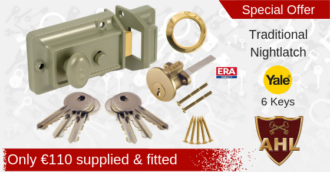 Should you choose, for whatever reason, not to go ahead with the work, after receiving your quotation, most reputable locksmiths in Dublin, who are confident in their abilities and service, are willing to absorb the time/travel costs they incurred in calling to your home. If a locksmith business is not willing to take a chance on you, you shouldn’t take a chance on them! Call another locksmith. 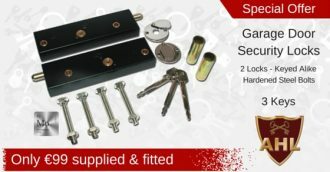 By choosing a Dublin locksmith service that offers free quotations, it will give you the opportunity to speak with a locksmith face to face, giving you a better idea of how he or she conducts themselves, before any work is undertaken, & if for any reason you are unsure or unhappy with how the locksmith comes across to you, you can decline their service without and fuss, and at no cost to you. A professional locksmith service, should have up to date public liability insurance. Once you have found a professional Dublin locksmith company that you like, make sure to keep their contact details handy for future use. As obvious as it sounds, having their details on hand will save you trying to find them again at a later date, especially if you need a locksmith in an emergency such as a lockout! Leaving honest feedback for the locksmith company’s website, business listings, or through social media, helps everyone. Not only is it great for the locksmith company, but it also assists other customers like you who are looking to find a reputable locksmith in Dublin.